Fashionable and incredibly pretty, Mykonos Island immediately caught my heart. The main destination of this trip was Folegandros, but since the flight arrived in Mykonos and I had anyway to wait the following day for the boat, I seized the chance and decided to stay a couple of days. I liked the island of Mykonos almost at once and to be honest, I was surprised. Trendy places are usually not my first choice, since I prefer quieter and secluded destinations. Truth is that the island is really charming, and besides the fashionable beaches there are others which are isolated and peaceful. 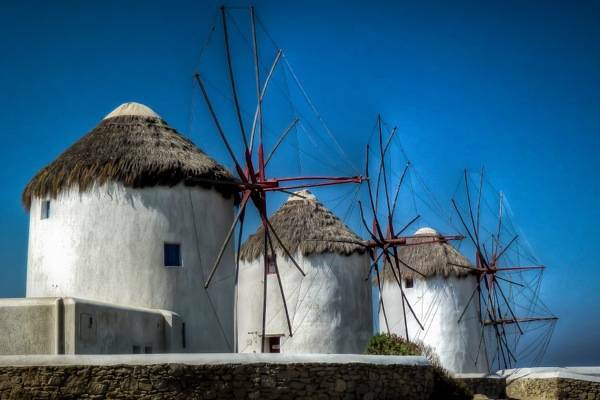 I soon discovered that although touristy and one of the Meccas in the Mediterranean for hipsters and people looking for great nightlife, Mykonos island still holds a charm tasting of Greece. 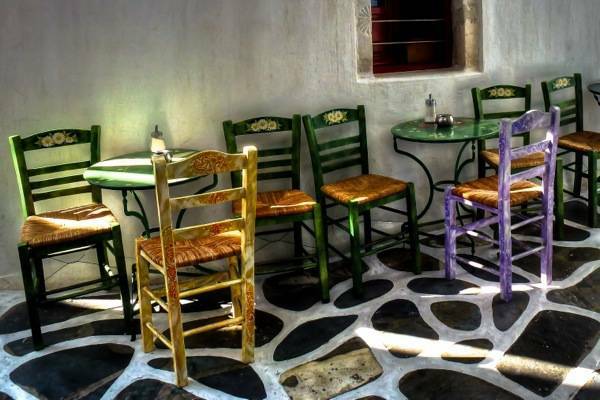 Besides the trendy restaurants, beautiful but looking very much the same as the ones in Milan or any other fashionable town, there are cosy Greek taverns with a few tables outside and the old caned chairs made prettier with a touch of color. The white-washed houses and the narrow alleys, with plenty of lovely café and restaurants, are charming, and I noticed with pleasure that in the cosy shops there was not much of the horrible ‘made in china’ stuff but instead many pretty hand-made objects. 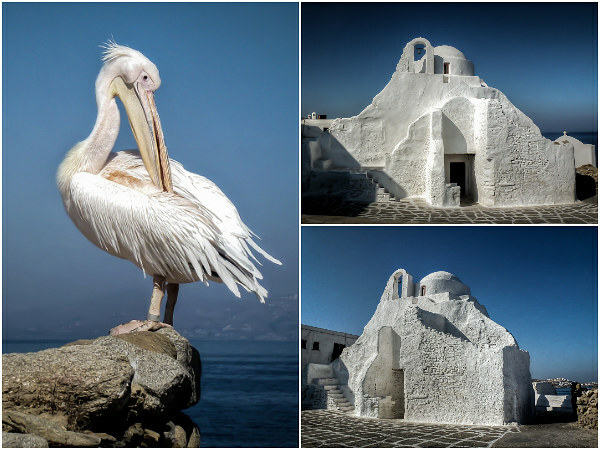 Wandering through the Chora (the Greek name for the town), nearby a lovely white church, I spotted a white pelican peacefully resting on a short stone wall and looking very comfortable and at home. I later found out about Petros the Pelican, who was the mascot of Mykonos island until he died in 1985 after being hit by a car. After that, three new white pelicans are staying in town and one of them has been named Petros, in honor of the bird who once was a landmark. The first evening, I treated myself with a cocktail in one of the bars with a small terrace overlooking the sea and Little Venice. It was likely one of the most expensive drinks ever but Gee!… Once in a while it’s nice to indulge in something special and the view at sunset was enchanting. 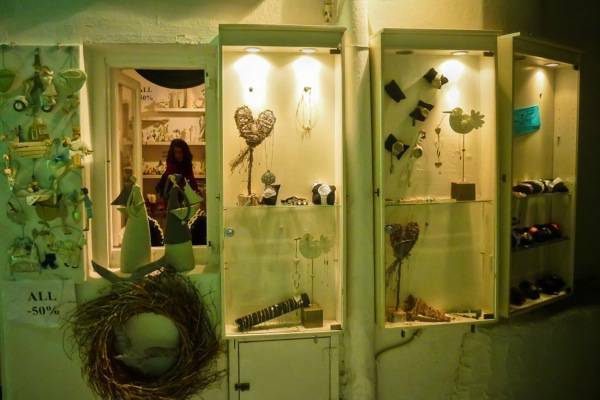 Also, experiencing a little of the trendy atmosphere of Mykonos island was nice and fun. The best way to explore the island and see Mykonos 25 beaches, whether secluded or trendy, is hiring a scooter. Better check the motorbike before leaving as they’re not always in a good shape, and being stuck somewhere in the island under a burning sun would not be a pleasant experience. 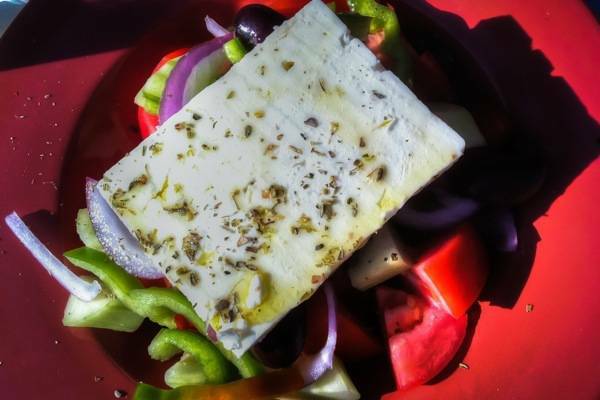 The advantage of organized beaches is that they are fully equipped with beach umbrellas (a must, unless you are one of those people lying in the sun like a lizard) and bars where one can enjoy a tasty Greek salad or some fresh fish while sipping a cold beer. Not all of them are as fashionable, crowded and noisy, thus there’s a good choice, depending on the mood of the day. After a couple of days, it was time to leave to Folegandros and I wish I could have stayed longer, Unexpectedly, I was intrigued by the two faces of Mykonos island , the trendy and frivolous, and also the quite and peaceful side, like two sides of a coin. Mykonos island was a nice surprise, and I’ll be back! 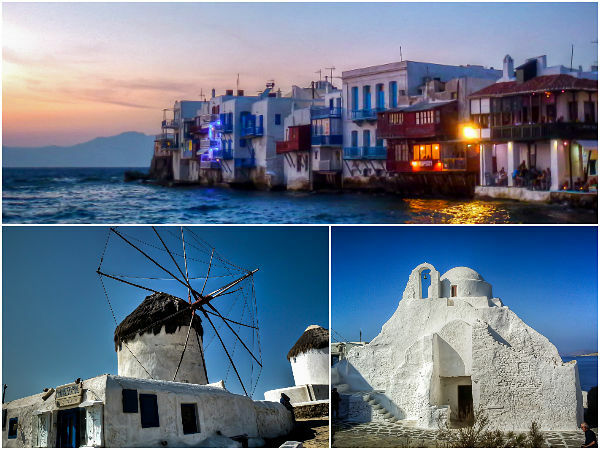 Have you visited Mykonos and/or other islands of the Cyclades? 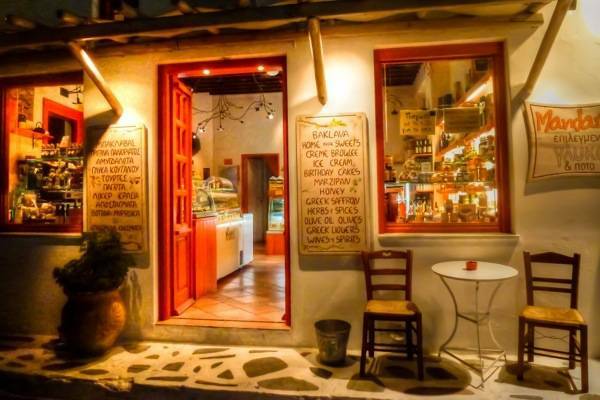 I have not visited Mykonos … yet! Your post has tilted my hand in favor of seeing it … so much variety of things to do and see! I really want to go to Mykonos…my parents went there on their first ever holiday and I grew up hearing stories of this lovely island. Love the photo of the pelican… Gorgeous pictures! It looks gorgeous here! I’ll be going in the next few weeks, really looking forward to it now :). 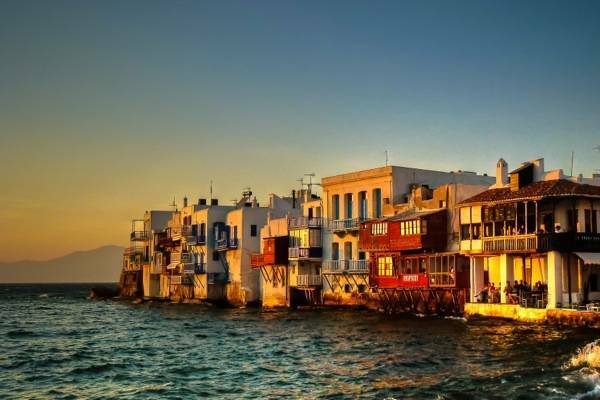 Mykonos sounds lovely! Your photos are splendid – I especially love the pelican and the view of Littly Venice. I can’t wait to get to Greece one day! Thank you, Jessica. Mykonos is lovely and you would love it for sure!